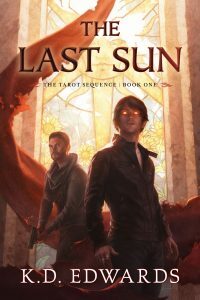 kt literary » Blog Archive » Happy Book Birthday to K.D. Edwards! Please help us congratulate K.D. 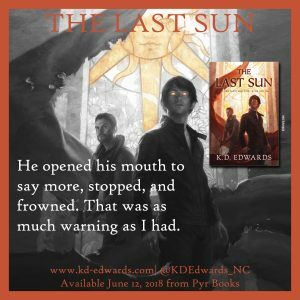 Edwards on the release of his debut novel, THE LAST SUN! “Intriguing characters, a fast-paced mystery, and an original magical hierarchy will immediately hook readers.” – Library Journal, starred review! Available in print, ebook and audiobook (narrated by the brilliant Josh Hurley!) – here’s to many happy readers and the launch of a brilliant new fantasy series! ← Gerald Brandt and Julie E. Czerneda nominated for Best Novel!